One rule of thumb in any business is to get the best out of all your investments. It is best to always get the maximum outcome with minimal input. In printing, finding the cheapest printer that does not sacrifice quality is the way to go. Restaurants for example can actually spend less for their printing expenses but still get long lasting and high quality printed materials and menus for their business. Saving money can be a breeze for these restaurants and caterers thanks to UPrinting. Aside from beautiful posters and flyers, this online company also provides businesses, particularly restaurants, bistros, bars and caterers eye popping menus. 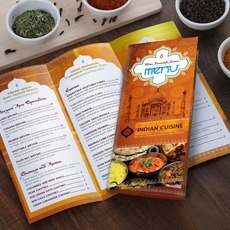 Explore our site to learn more about our menu printing services. For more inqueries and information, contact us through our customer support service via call and/or chat. Our lines are open for you anytime, 24/7!